This small vineyard (0.35ha) is the only Pinot Noir on the domaine. 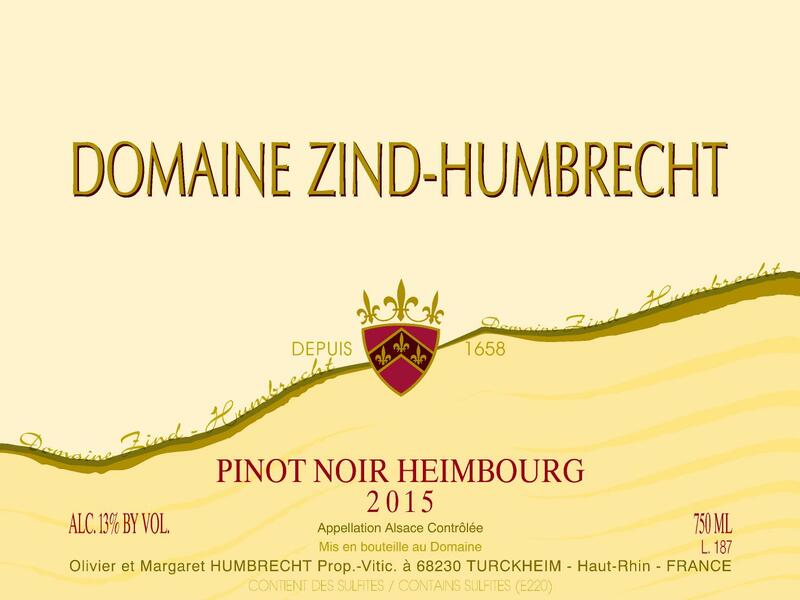 The red limestone soil (Oligocene) of the Heimbourg is relatively late ripening and capable to ripen the pinot noir skins to perfection without attaining high alcoholic levels. The very small yield achieved there, despite a high density of vines (9000/ha) also allows the grapes to reach interesting concentration of flavours. The wine is vinified traditionally in a vertical oak fermenter for 15/20 days with a large proportion of whole cluster in some vintages. The wine is then matured in 228L barrels for about 18 months. We avoid new oak for this wine and favour 2 to 4 years old barrels. It is bottled without filtration and fining and never even pumped! We recommend decanting the wine to avoid sediments. 8/2017: dark red colour, quite intense. The nose shows the ripeness of the 2015 vintage, lots of red fruits. The palate shows an almost unusual unctuosity and velvety tannins. Quite easy to enjoy young, it certainly also has the potential to develop a few years. The finish is long and brings lots of satisfaction at an early stage.